ikat bag: New Marker Pouches, etc. Erm. I see from the date stamp that it has been more than two weeks since I last posted. Never mind. Let's just call it life and move on, shall we? So, end-of-the-school-year looms ahead. Once again, the girls will be saying goodbye to their teachers. And, once again, we will be coloring bookmarks and baking cookies (one hopes) and making receptacles. Problem is, some of those teachers, having taught my older girls in previous years, already own the lunch buckets that are our traditional teacher gifts. 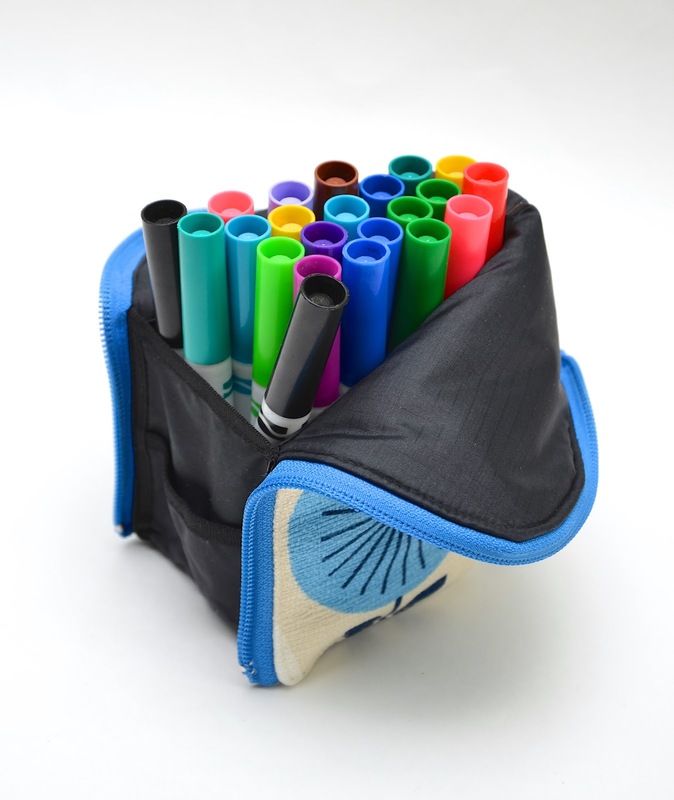 So, for those teachers, I made marker pouches. And then Emily put in a personal order for an extra pouch for her own markers. And since I was cutting out a few, I thought I might as well cut out a few more. These are the ones not going to teachers. I plan to put them in the shop for you guys to buy for your teachers, or yourselves or whomever you like, in response to the various emails I've gotten from folks asking if I'd custom-make them (answer: not really, but I'm happy to mass-produce a few extras when I'm making a teacher batch). and get them in the mail in time for the end of the school year (ours is the first week of June, but I know many of your kids get out a week earlier). Here are some quick shots so you know what they look like, and how many of what kind of writing implement they can hold - we counted about 14-15 of the fat Mr Sketch markers, 22 or so of the regular Crayola markers, and at least an entire box of the 48?50? Prismacolor pencils. I'll let you know here on the blog when they're in the shop - hopefully by the weekend. I need to get started on the lunch buckets next. I don't know if I'll be making extras for the shop or not - it's been quite a crazy May and I'll be lucky if I can even get the teachers' buckets done on time. But I'll try! Another quick update on Menagerie: it's in the testing lab now, and we're waiting on feedback. Be patient with us, guys - the thing is mammoth - but we're working to get it to you as soon as humanly possible. Meanwhile, enjoy these beautiful spring days! It's hard not to be distracted by the bright green all around us (or the cursed pollen). Talk again soon! Oh, They're so pretty! What fun fabrics! Not that I'm partial to any, of course. ;) Your shop door will probably get beaten down quickly, so be prepared!! School finishes for the year in early June? Apparently I grew up in a different neighborhood; the school year ended at the end of June for us. We didn't have to resume classes until the first week of September. 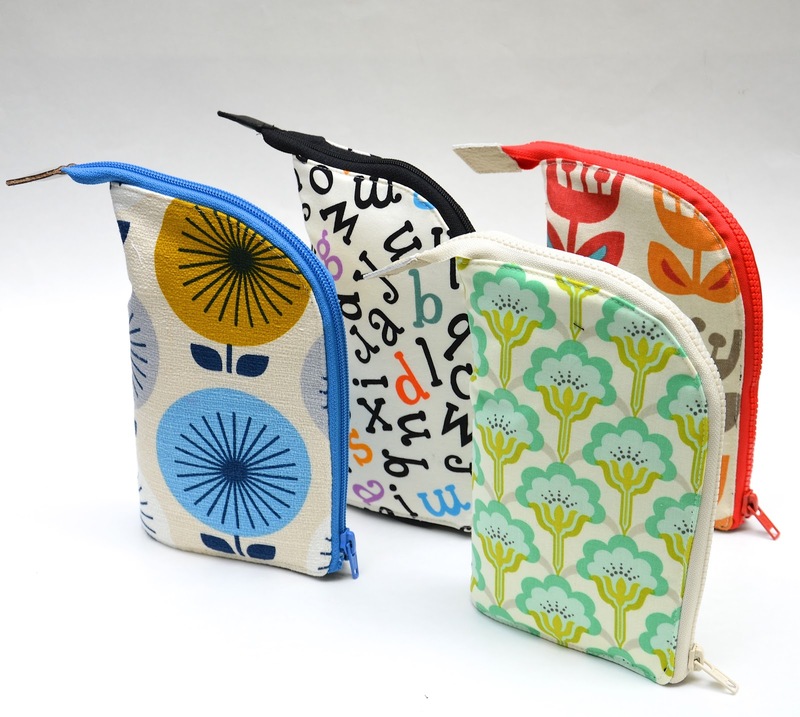 Like all your other projects, those pouches are lovely!! Menagerie is mammoth, har har. Love those teacher gifts! These are beautiful. I love the fabric and the the colour combinations. Your sewing is so much neater than mine too. My mass produced pencil cases were a bit hit and miss. 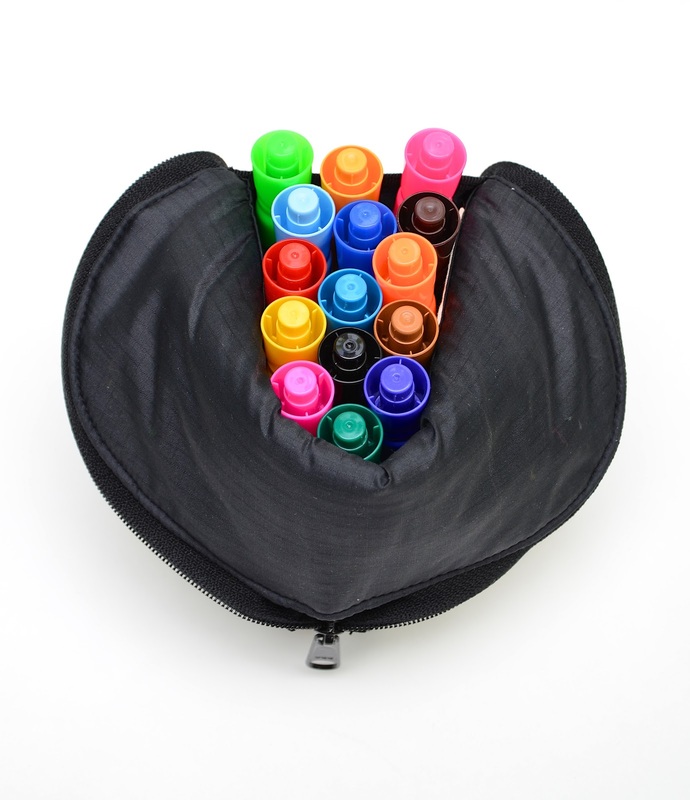 I'm a big fan of these Marker Pouches! I love the fact it combines the easy access to the content of a desk pen holder while keeping the markers/pencils in place and the transportability (...is this the right word?) of a pencil case. When you published the constructing sequence, I made one for my youngest son. I was able to finish it and it works, but my self drafted template was not well proportioned so I ended up with a "Fatter Marker Pouch" more than a "Better Marker Pouch". 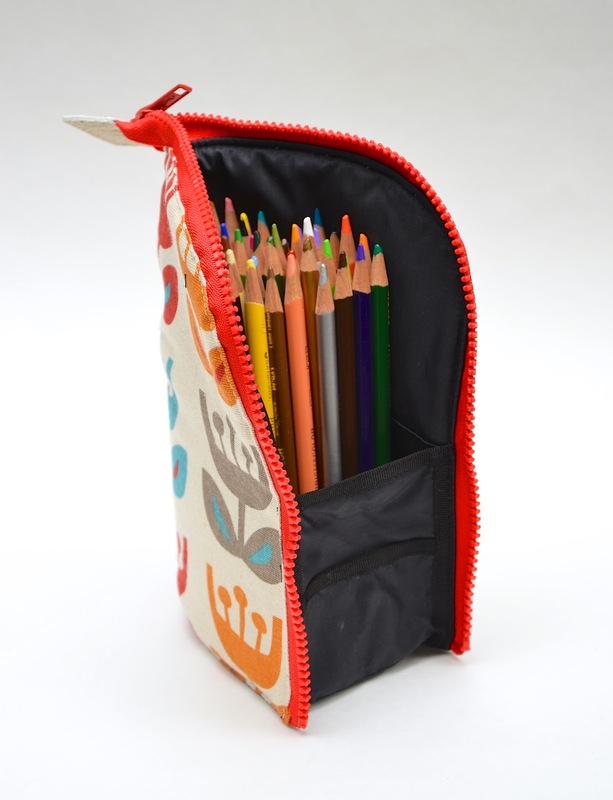 Also, I did the front wall too high and now the shorter pencils are hidden even when the pouch is open. Despite this, it is a useful pouch and my son loves it. 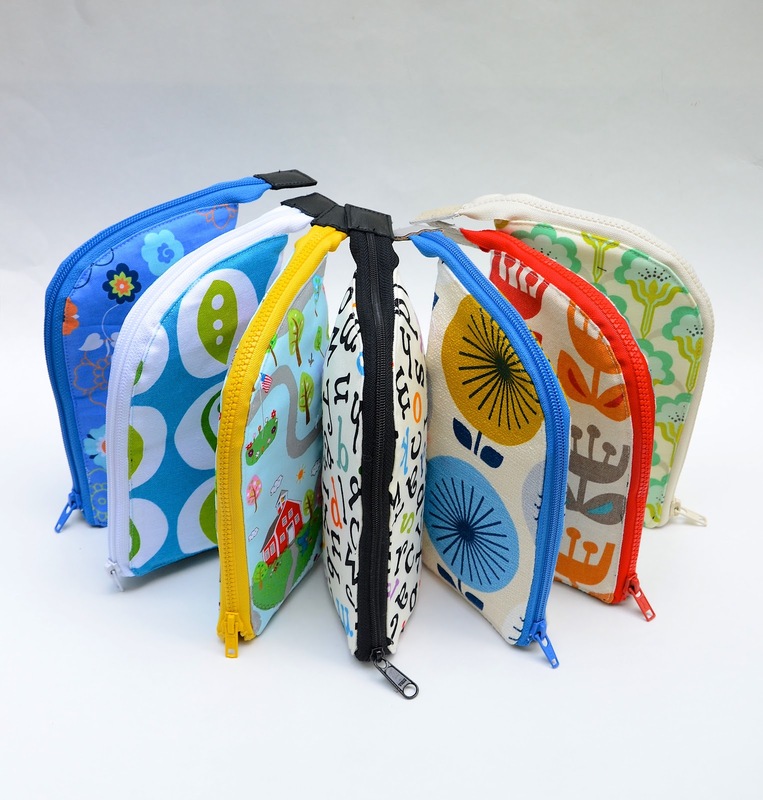 I will for sure try again and make other not-so-fat pouches, any hint regarding the measures is more than welcome! Oh thank you for this! I've been poking at a pattern for this (I love JetPens for this stuff), and now I can just get on with it and make one (or two or three) for me and the pen-totin' drawers in my life. 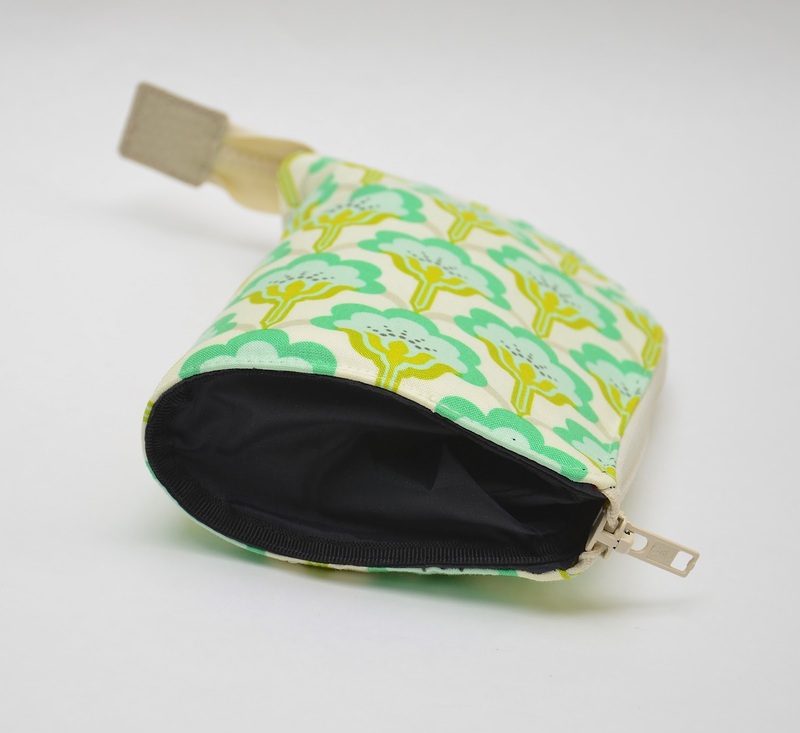 Even better, borrow her art to make a fat quarter in Spoonflower out of the Eco canvas to make it! Ooh I hope I make it to your shop before these sell out! My kids get out of school the same time as yours, and that cursed pollen nearly killed me a couple of weeks ago (bad allergies and asthma are a dangerous combination). They're so nice! I'm really excited for the bag-making tutorials. The bag-making bug has bitten me! I've been mentally turning things inside out, then adding zippers, and then turning them right-side back...and then feeling like I put my neck through the arm-hole of a shirt. So...definitely looking forward!